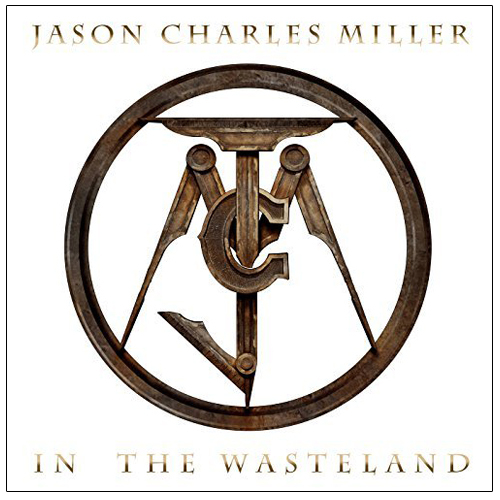 On his third full-length studio album, country outlaw rocker Jason Charles Miller, dials down the country sound which dominated his previous albums, allowing his outlaw rocker side to shine through. “In The Wasteland” features 11 tracks of barn-burning, fiery rock and roll that’ll take you to church, then test your demons. Mixed and produced by Grammy Award winner Matt Hyde (Jonny Lang, No Doubt), “In The Wasteland” features a who’s who of country and rock royalty. Drummer Kenny Aronoff (John Mellencamp, Chickenfoot) joins guest artists Rickey Medlocke (Lynyrd Skynyrd), Peter Keys (George Clinton, Lynyrd Skynyrd), Brenda Lee Eager (Stevie Wonder, Diana Ross), Charlie Starr (Blackberry Smoke), Dug Pinnick (King’s X), Duane Betts (son of Allman Brothers guitarist Dickey Betts), Adam Shoenfeld (Tim McGraw, Jason Aldean) and Cowboy Eddie Long (Jamey Johnson). Incorporating themes of heartache, sin and redemption set amongst backstabbers, preachers and demons, “In The Wasteland” is both reflective and astute. Miller is a forthright lyricist with an impressive vocal range. The album’s first single, “Hundred Pound Hammer”, sees the narrator discovering his lady with another man. The heartbreak which follows is overshadowed by his struggle on how he should react. It’s visceral, intense and extremely candid. I especially loved “Get Thee Behind Me”, a song about Jesus from the devil’s perspective and “Old Scarecrow” featuring Blackberry Smoke frontman Charlie Starr. There are a few pleasant surprises, too. “Trunk Full Of Bibles” follows a preacher’s daughter who drives around with a head full of guilt, a devil on the dash and a trunk full of Bibles while “Finding My Way In The Dark” is a beautifully haunting song with Gospel-like qualities. This look at human frailty bookends the album perfectly. From a scorched earth to a test of faith, “In The Wasteland” delivers a high-octane ride as hot as the hinges of hell.